Today’s brand is one to watch in the natural beauty space, ByBi Beauty, which stands for By Beauty Insiders is brought to you by Elsie and Dominika who are also founders of Clean Beauty Co, authors and co-organisers of Clean Cult. I have had the pleasure of meeting Elsie and Dominika on several occasions and I am always impressed by just how much they seem to cram in to their schedule! ByBi I think is set to be their most successful venture yet, the products are all 100% natural and aim to show that natural can be both high performance and deliver results. What sets ByBi apart is that it has quite a young, fresh feel to it which makes it stand out alongside a lot of other brands who take themselves very seriously indeed. The formulas are all well thought out and the products will appeal to all age groups, but they fill a gap for natural beauty marketed to a slightly younger audience. I have had the pleasure of trying three of the products from the range, there are five in total so it is a relatively simple line up for now, but growing rapidly. I wrote about Babe balm when it launched but since they have gone through a rebrand and a change of packaging it is worth talking about again. Babe Balm (£18 for 30 ml) This is one of those multi-tasking products that I couldn’t be without in my skincare wardrobe. It tackles dry skin anywhere, think heals, elbows, lips etc… but is surprisingly light and not sticky or gloopy which sometimes balms can be. What I think is really clever about Babe Balm is that it is also vegan and free from essential oils as well as having an interesting ingredients list. As much as I love essential oils, sometimes it’s great to have a well formulated product without them and this very much ticks that box. It has a peachy colour and a slightly sweet smell which apparently comes from the pequi oil. Because of the gorgeous ingredients, such as squalane, calendula, Monoi de Tahiti and Coenzyme Q10 it works particularly well as an overnight treatment to soften and hydrate the skin. A useful product to pack in your suitcase if you are going on holiday and also perfect for the gym or handbag. Both Babe Balm and Prime Time have travel sizes available in portable, tube packaging which is made from bio-plastics and can be composted if you have industrial compost facilities near you. 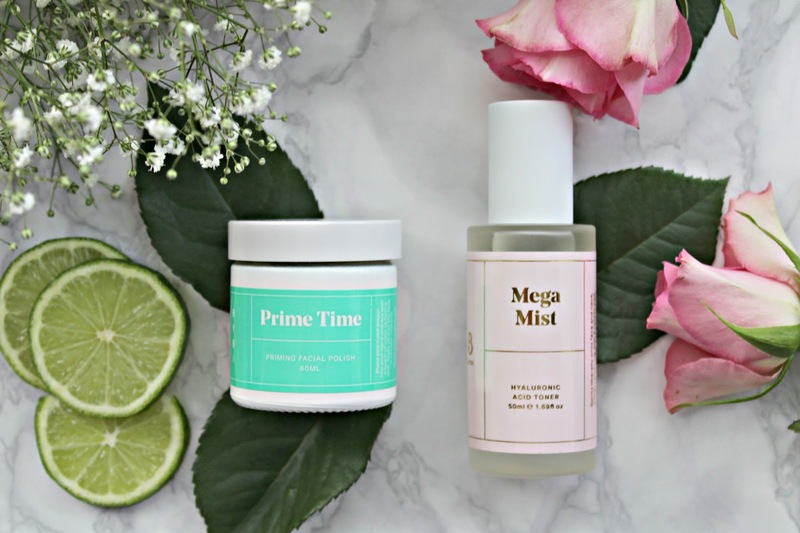 Prime Time Priming Facial Polish (£14 for 30 ml) If you thought that physical exfoliation was all about harsh scrubs or microbeads, Prime Time is here to change your mind. I think this product is much more than a simple face polish, it is an all in one mini-facial, gentle enough for even sensitive skins. Prime time comes in a nourishing balm like base with glycerine, almond oil and shea butter. The scrub works in two ways, it has a gentle jojoba beads that physically exfoliate the skin but it also contains a mix of fruit acids that gently decongest and brighten. You apply to dry skin in small circular motions, then, to get the best results leave on the skin for around five minutes to let the fruit extracts get to work. The balm like texture emulsifies on contact with water leaving the skin really soft and supple and making it easy to remove. It’s a gorgeous weekly treat and absolutely worth the little bit of time it takes to apply, because it never irritates my sensitive skin. Great for anyone who can’t use harsher chemical exfoliants. Mega Mist Hyaluronic acid toner (£26 for 100 ml) When is a mist more than a mist? When it has ingredients that you would usually find in a serum, I tend to think of Mega mist as a toner/serum hybrid. It has rose and orange flower water which are soothing and hydrating, lemon balm water which is balancing. Hyaluronic acid is a humectant that attracts and binds water to the skin, it is a staple ingredient in a lot of water based serums, so when I am feeling lazy or am really short on time (that would be every school run morning!) this is one I always reach for. Mega Mist also contains pomegranate and algae extract, so as you can see it is a lovely mix of ingredients. 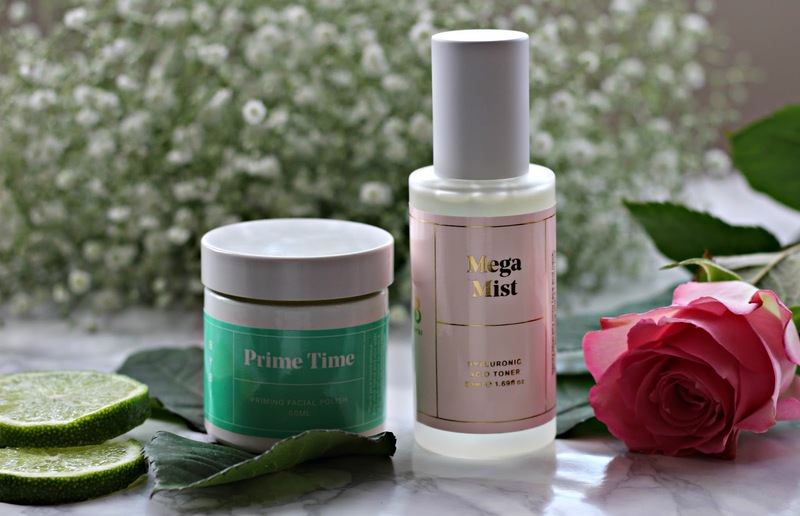 I like to use mega mist with an oil or moisturiser directly on top, you can layer with water based serums, but it’s worth keeping in mind that too much hyaluronic acid can feel sticky on the skin, so layer wisely. I haven’t tried the ByBi Supercharge serum, which is oil based, but looking at the ingredients list I would be willing to bet it is the perfect partner for Mega Mist thanks to the light squalane base that is perfect for all skin types. The mist feels hydrating, soothing and is great for skin that is in dry environments such as buildings with central heating or when flying. Not only do I really enjoy the ByBi formulas, but I am very impressed that they are bringing natural beauty to a wider audience and are stocked in Beauty Mart, Topshop and Content Beauty* online to name a few. Have you checked out ByBi yet?